During a Port call ship’s cargo and ballast operations are time critical processes with high power demand. 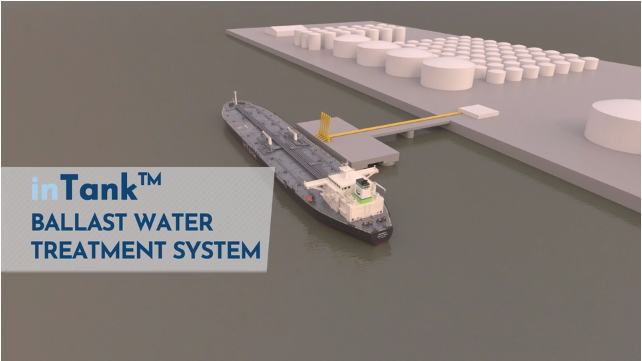 Unlike conventional in-line systems that treat ballast water at uptake alongside in Port, the Envirocleanse inTank BWTS solution disinfects ballast water in the tanks during the voyage. A convenient time to treat ballast water because in general sufficient treatment time, crew time and service load power is available. The inTank solution also has No Filters, distinguishing it from most conventional in-line systems. The innovative inTank circulation method is based on the application of active substance to meet IMO D-2 discharge standards and is effective in all water qualities. Operational design limitations such as: port water salinity, turbidity and temperature are not a concern when treatment is performed during the voyage. 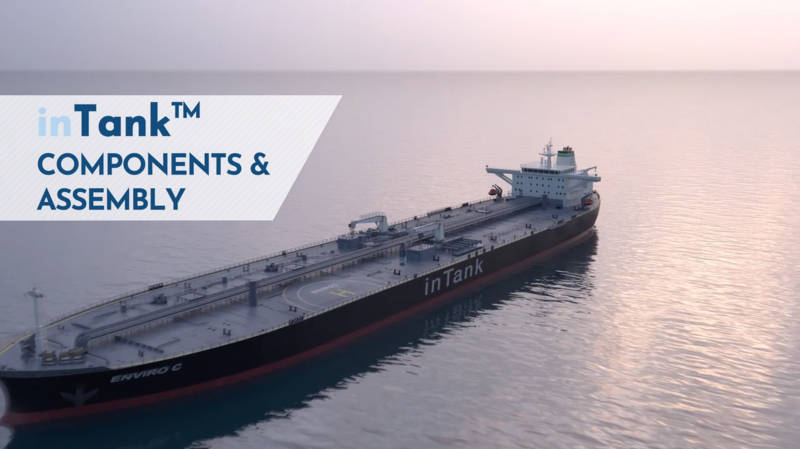 With inTank BWT installed, ships can ballast and de-ballast freely and as required for their operations avoiding risks of costly delays and without compromises to vessel operations. Finally, the flexibility to delay treatment of ballast tanks introduces also a means to avoid biological regrowth on longer voyages. Ships transport approximately 85% of international traded goods via our oceans. As cargo loads vary, ships need to ballast and de-ballast water for stability. Ballast operations imply the risk of introducing invasive aquatic organisms causing damage to local oceanic habitat. The purpose of The Ballast Water Management (BWM) Convention, adopted by the IMO in 2004, is to eliminate the risks of such negative impacts. For that purpose BWTS are designed to kill, eliminate all aquatic organisms before de-ballasting. Ship owners have a variety of treatment technologies to select, as the majority of seagoing ships must be fitted with BWTS in the near future. The suitability of various BWT technologies, systems and makers depends on ballast pump capacity, familiarity, available space and financial impact (capex and opex). The process of the inTank system by Envirocleanse Company is very simple. InTank utilizes sodium hypochlorite (NaOCL) as active substance to treat water ballast tanks. Water is pumped from one ballast water tank at a time, passed through an active substance Dosing Module and returned to the same ballast water tank through in-tank mixing nozzles. This circulation loop provides the means of applying the active substance, enables monitoring of TRO levels inside the ballast water tanks and is the method of applying a neutralizer solution prior to discharge. To ensure consistent and successful inactivation of target organisms and pathogens, the concentration-time (CT) treatment approach is utilized. Our CT-value is set at 120 and is defined as the product of concentration in mg/l. (measured as TRO-level) and Hold time (in Hours). e.g. 5 ppm x 24 hours = 120 or 3 ppm x 40 hours. The in-tank recirculation method enables monitoring and re-dosing to meet the target combination of TRO dose and hold time. The ability to dose in-tank and re-dose as needed ensures effective treatment regardless of organic and inorganic loads (i.e. the oxidant demand) in the ballast water. Simple, efficient and compliant.